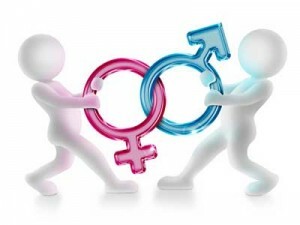 John Gray’s “Men are from Mars, Women are from Venus” sold over 50 million copies and re-affirmed socially, what many of us experienced for years: the fundamental differences between the genders. We talk about these differences in relationship settings all the time, so why is it, in business, organizations often manage their people as if everyone is one gender? Barbara Annis, a world-renowned expert on Inclusive Leadership, and Cultural and Gender Intelligence is releasing her new book this fall, Cracking the Code on Gender Equality: The Gender-Intelligent Organization, co-authored with Dr. Keith Merron. This book is the culmination of 25 years of gender-based research and global practices that apply groundbreaking brain-based research to the workplace. Q: How would you explain gender intelligence to someone who knows nothing about the term? A: Gender intelligence is really a perception shift, moving from what we used to think: great minds think alike, to the idea that great minds think un-alike. There are strong differences in how each gender makes decisions and how they lead to greater results. There are a lot of assumptions or gender myths in organizations, however gender intelligence removes those assumptions. It gives us a clear reality check on what the root causes are on why an organization is not advancing. Blockages often exist due to a lack of gender intelligence. Q: Can you compare gender intelligence to emotional intelligence? A: Emotional intelligence did create some interesting outcomes that allowed managers to be more self-aware and more learning-agile. The next conversation after discussing emotional intelligence is the understanding that both women and men are hard-wired differently and need each other to best get the job done. Q: By and large, women are generally more intelligent in certain ways and men are intelligent in other ways. How would you compare the learning styles of both? A: Men tend to look at things in a more uni-focal way, looking at statistics, and using careful logic. Women on the other hand think about situations in the larger context. Women are generally more qualitative thinkers and men are generally more quantitative thinkers. In business, being aware of those tendencies can help you fully utilize both genders together in a team. Q: What is the most important lesson for men and women to learn, to work together well? A: As an employer or HR manager, the most important lesson we can takeaway is to stop looking at everything within the context of a numbers game based on quotas, and start viewing business imperatives. For instance, women are now staying in the paid workforce longer than they ever have before. Gender intelligence is pushing aside a host of assumptions that would cause one to explain the reasoning for this statistic. Most people are surprised, for example, when recruiting more women in the workplace and creating better work-life flexibility packages, have no correlation to this reasoning (about women staying in the paid workforce longer). We need to dismiss the assumptions and really understanding the differences between genders so employers can make decisions based on accurate assessments instead of on assumptions. Q: What are the biggest advantages to having a gender intelligent workplace? A: Increased income. Regardless of your industry, it is better to have a good representation of both men and women on your team. The collective thinking between both genders ensures that your organization will produce better results — no matter what. Q: When we think of the term “gender issues,” we, as a society tend to gravitate to the idea of issues belonging women. Why do you think that is? A: It is interesting, as we use the word gender, we do think of women. When in reality, it is actually men and women, when we are dealing with gender issues. Women’s issues in particular are not a gender issue. We need to have the discussion of an inclusive approach and bring both men and women into the conversation. Men generally have a very freeing reaction, when they find out that gender issues are not solely a women’s issue. They feel more comfortable with the fact that they are males, and that it’s okay to act the way they do sometimes. Women also feel very validated when they learn about gender intelligence. They feel better that they can take their 100% authentic self to the workplace. Q: Do you have any final takeaways when it comes to learning about gender intelligence? A: Yes. If you have a better gender-balanced team, you will have stronger productivity and better business outcomes.